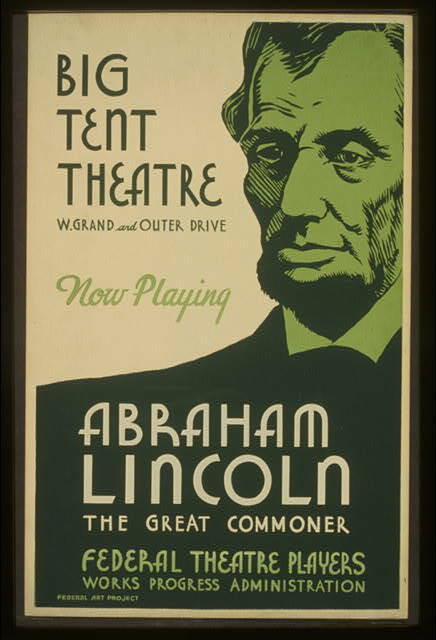 Of the rare and extraordinary times in U.S. history when the U.S. government actively funded and promoted the arts on a national scale, two periods in particular stand out. 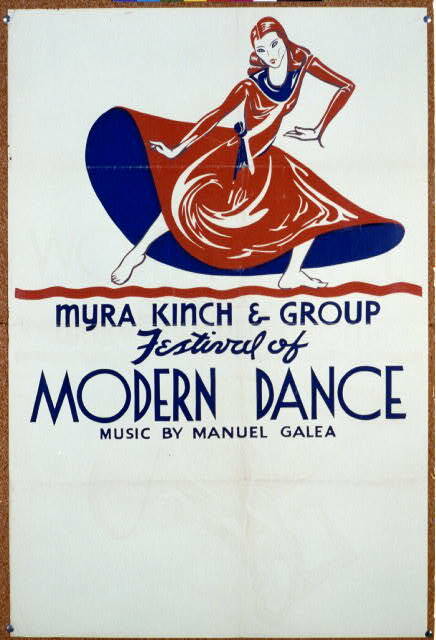 There is the CIA’s role in channeling funds to avant-garde artists after the Second World War as part of the cultural front of the Cold War---a boon to painters, writers, and musicians, both witting and unwitting, and a strange way in which the intelligence community used the anti-communist left to head off what it saw as more dangerous and subversive trends. 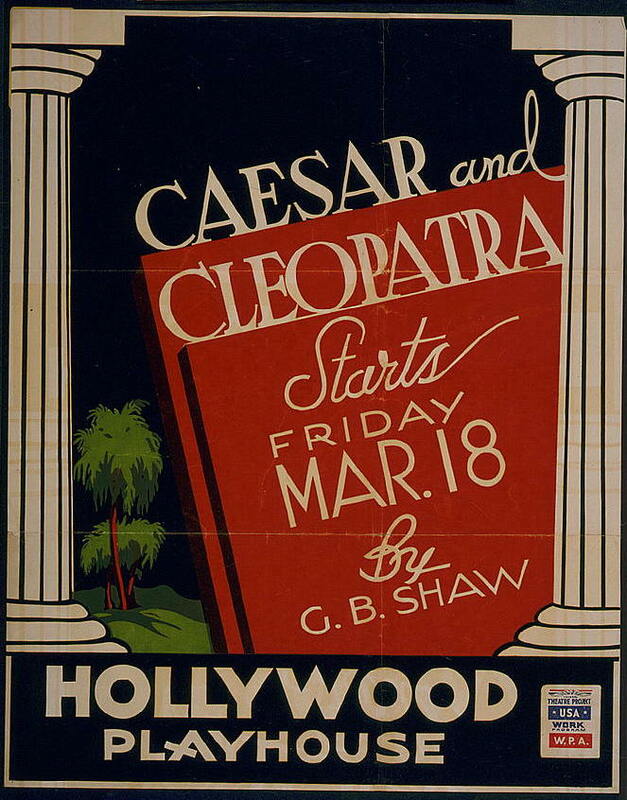 Most of the highly agenda-driven federal arts funding during the Cold War proceeded in secret until decades later, when long-sealed documents were declassified and agents began to tell their stories of the period. 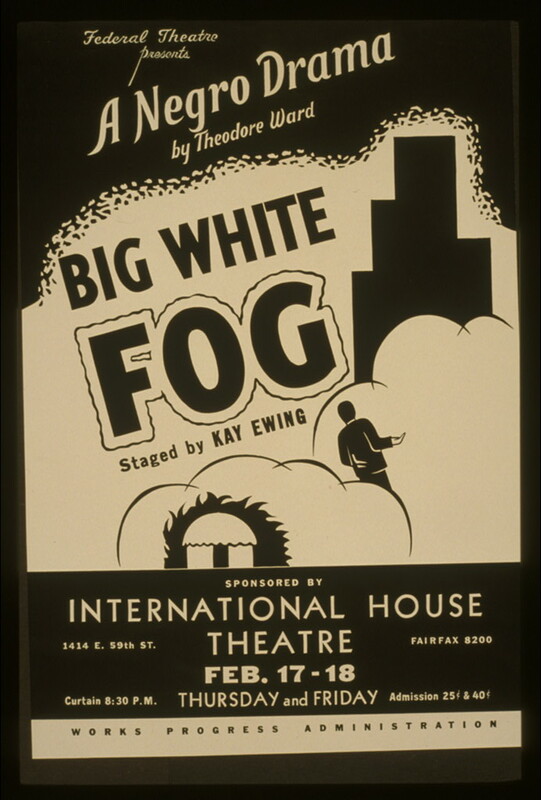 Under the program, known simply as “Federal One,” Orson Welles made his directorial debut, with a hugely popular, all-Black production of Macbeth; Walker Evans, Dorothea Lange, and others documented the Great Depression in their now iconic photographic series; Diego Rivera painted his huge murals of working people; folklorists Alan Lomax, Stetson Kennedy, and Harry Smith collected and recorded the popular music and stories of South; Zora Neale Hurston conducted anthropological field research in the Deep South and the Caribbean; American writers from Ralph Ellison to James Agee found support from the WPA. This is to name but a few of the most famous artists subsidized by the New Deal. 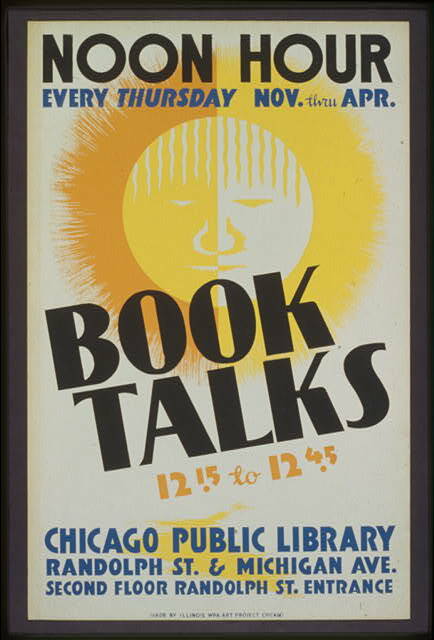 These posters, added to the Library’s holdings in the ‘40s, show us a nation that looked very different from the one we live in today—one in which the arts and culture thrived at a local and regional level and were not simply the preserves of celebrities, private wealth, and major corporations. 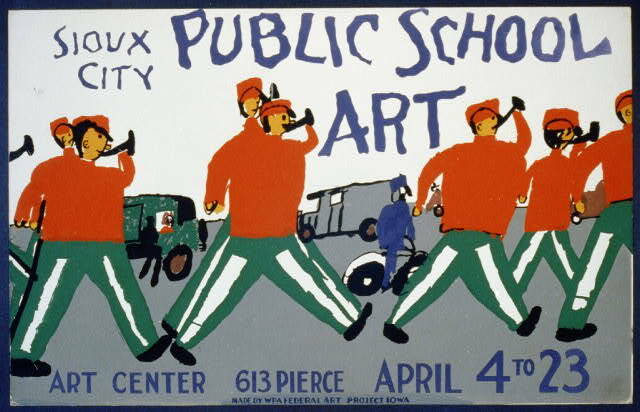 Perhaps revisiting this past can give us a model to strive for in a more democratic, equitable future that values the arts as Eleanor Roosevelt and the WPA administrators did. 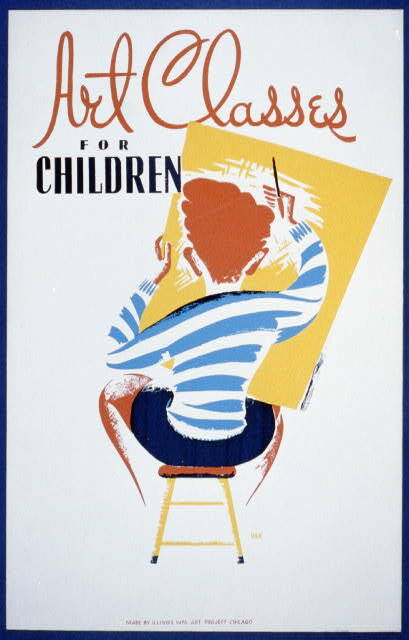 Click here to browse the complete collection of WPA arts posters and to download digital images as JPEG or TIFF files. What current social program are you willing to scale back or do away with to be able to afford this? Who says we have to cut a social program? 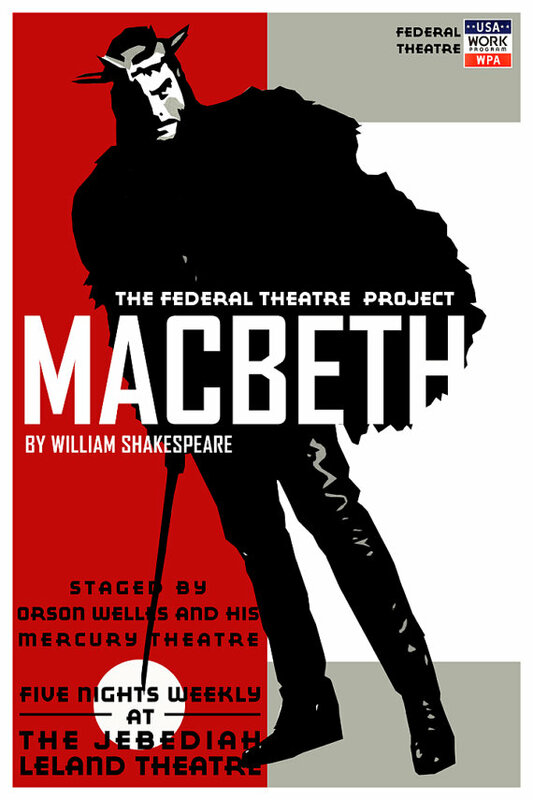 Where did you find the Welles Macbeth poster? I’ve searched the collection, but can’t locate it. Could you post a direct link? Ah – as I suspected, links don’t appear. Search for “Meshed Histories: The Influence of Screen Printing on Social Movements” on the American Institute of Graphic Arts site. Tax the super-rich equitably and you won’t have to cut from the bottom.